The MasterWorks Festival, a four-week classical performing arts training program that offers advanced and passionate students of music, dance, opera, and theatre the opportunity to learn from professional Christian performing artists in their respective field, will be held in Winona Lake, Indiana, June 22-July 20, 2008. Located in the picturesque community of Winona Lake, Indiana, MasterWorks offers top-level students ten different programs, an opportunity to work with nearly 100 faculty and guest artists from around the world and spiritual teaching designed specifically for performing artists. Some of the world’s finest performers, including Midori, Christopher Parkening, Rebecca Wright, Jeanette Clift George, John Dalley, Lawrence Dutton, John Kirby, Anne Martindale Williams, David Hardy, Doug Yeo, Hugh Sung, Steve Rooks, Jimmy Sites, Christine Smith, Steve Hendrickson, John Nelson, Phil Smith, Paula Robison, Stephen Clapp, the Ying String Quartet, and many others have been a part of MasterWorks. Patrick Kavanaugh, chair of the Grace College School of Music, is the founder and director of the festival. MasterWorks strives to combine the classical performing arts and Christianity so that students from a wide variety of Christian backgrounds can come together to glorify God in their art and grow deeper in their faith, personally and corporately. Spiritual activities to encourage this growth include topical Bible studies for performers, the Bible Study Leadership Training seminar, faculty devotionals, and Sunday worship services. Prayer is an integral part of rehearsals, classes and performances at MasterWorks. 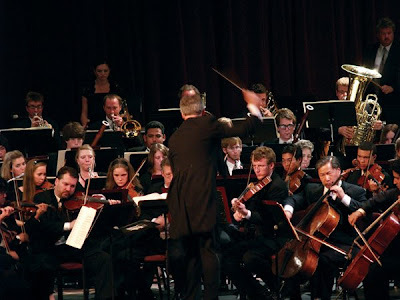 More than 40 free, open-to-the-public performances during the festival include two weekly orchestral performances, a full-length dance program with orchestra, a fully staged theater production, a full-length opera production, chamber music recitals, concerti with guest artists, as well as Faculty Recitals, the Student Honors Recital, the Concerto Competition and numerous community performing opportunities. MasterWorks’ greatest feature is its vibrant community of classical Christian performing artists. This unique atmosphere inspires artistic excellence and biblically sound teaching. For a detailed schedule of concerts and repertoire, log onto www.masterworksfestival.org or check the calendar listings at www.villageatwinona.com.